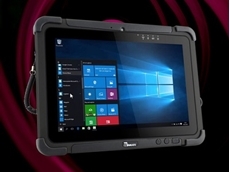 Backplane Systems Technology has released a new range of rugged tablet PCs from Winmate, powered by Intel's 7th Generation Core i5 Kaby Lake processor. Backplane Systems Technology has introduced the new RuggON 10.1" IP65 rugged slimline tablet PC for field and vehicle applications. 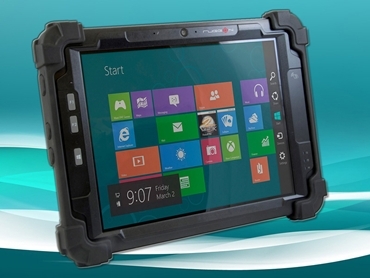 Backplane Systems Technology introduces the PM-311, a new range of 7-inch rugged Windows-based tablet PCs for field applications. Backplane Systems Technology introduces RuggON's 10.4" IP65 rugged tablet PCs featuring Intel Atom Bay Trail E3826 Dual Core Processor supporting Windows 7 and 8 operating systems for field applications. Designed to meet MIL-STD-810G rating for shock and vibration, RuggON’s PM-522 rugged tablet PCs can be safely dropped from six feet onto plywood on a concrete surface. 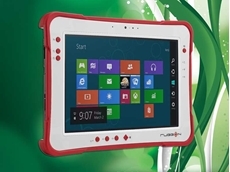 This rugged tablet PC is fully sealed against the ingress of liquid and dust damage (IP65) and has an operating temperature rating of -20°C to +50°C. 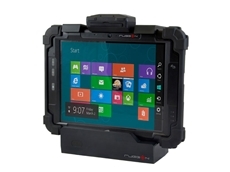 The PM-522 rugged tablets deliver superior functionality and a user-friendly interface to meet the requirements of a wide variety of field and vehicle applications. Key features of the new PM-522 rugged tablet PCs include 10.4" LED backlit screen with integrated 10-point capacitive multi-touch screen featuring a display brightness of 700nits for sunlight readability in outdoor applications; Intel's Atom E3827 1.75GHz Dual Core CPU; 4GB of DDR3 SODIMM and 64GB of upgradeable mSATA SSD; hot-swappable dual batteries offering up to 9 hours of battery life; 5 mega pixel webcam with LED flash and auto-focus embedded in the rear bezel and 2 mega pixel camera with audio input in the front panel. Seamless communication is available via the onboard Wi-Fi 802.11 ac/a/b/g/n, Bluetooth 4.0 and GPS plus optional 3.5G or 4G TLE modules. 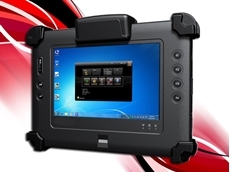 Data capture options available for the tablet PC include NFC, barcode scanner, smart card reader (CAC) and magnetic stripe reader (MSR) suitable for portable stock and asset management. Multiple connectivity interfaces include 1x USB3.0, 1x USB2.0, 1x Audio Jack, 1x Micro SIM slot and 1x Ethernet port. Two programmable function buttons are located on the front panel for user flexibility. Vehicle and Desktop Docking Stations are available as optional accessories. The Desktop Dock features 4x USB, 1x VGA, 1x Ethernet and 1x DC Jack, while the Vehicle Docking Station has 4x USB, 2x RS232, 1x VGA, 1x Ethernet, 1x DC Jack and 9~32VDC power input.